Sarah Aluko is a Nigerian-British Author and Poet. Sarah Aluko’s poetry speaks of womanhood, femininity, love, loss, and heartbreak. As a result of this, she has built a following of thousands of young people on social media who consume her poems ferociously and share them widely. 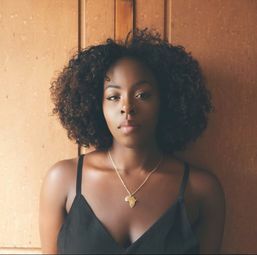 In 2017, Sarah Aluko released her debut anthology, Firstborn on International Women’s Day, which was long-listed for the Out-Spoken Prize for Poetry in the same year. She was also commissioned to write a piece for the technology giants, Microsoft, to mark the launch of their new Surface Pro as well as a piece for Nasty Women, the global art movement that campaigns to end violence against women. Aluko has worked with England’s largest organization for performance poetry and spoken word – Apples and Snakes. Since Firstborn, Sarah Aluko has been listed as part of Nasty Boy’s Creative Class of 2018- Nasty 40, which is a list compiled of 40 creatives in (or from Africa) to celebrate the next generation of Africans shaping youth culture. The list has been featured in Okay Africa, Marie Claire, Dazed and Hunger Magazine. In addition to this Sarah Aluko was once again long-listed for the Out-Spoken Page Poetry Prize for 2018. Further, she was part of the Barbican’s Art Hack in tandem with the Basquiat Boom For Real exhibition. Too Young For What? which was organised by Barbican Guildhall Creative Learning as an explosion of creativity across 48 hours in the Barbican Centre.